Someone from New Orleans' past is running rampant on The Originals. After the end of last week's thrilling conclusion, not much was revealed about the mysterious witches who returned from the dead. When one of the enemy witches strikes first, Klaus and his "allies" (I guess they're now working together?) must stop the witch before it's too late. This week on The Originals, a powerful foe attacks the vampires, Marcel slips into depression, and Rebekah's hidden secret is revealed. In New Orleans, there's always a new threat to fight for another day. The foe for this week is Papa Tunde, a resurrected fallen elder who channels the powers of others to use his voodoo spells. 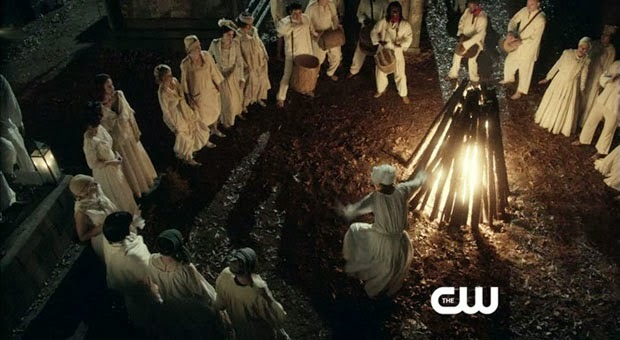 Papa Tunde is the first of the mysterious witches to return and as we find out through flashblacks, he hates the Mikaelsons (especially Klaus) for killing him in 1919 and his twin sons. Back with a vengeance and help from Celeste, he traps Rebekah in one of his mystical sacrificial markings and channels her powers to fight the remaining Mikaelsons when the time comes. Klaus has had a hard time earning the respect from the vampires of New Orleans. They despise him and would prefer if Marcel were back in charge to lead but that is no longer the case. After the discovery of two dead vampires in one of Papa Tunde's markings, Marcel warns the group of the voodoo magic while Klaus calls on for more back-up. The group, seemingly uneasy with the plan, refuses to attack and when Klaus calls a city-wide meeting of the New Orleans vampires, he states that if anyone wants to leave instead of following him, they can. A few of the vampires take his offer to depart, including recently freed Tiery. Marcel is broken now that Davina is gone. Is she dead? Is she simply in limbo? No one knows the truth but Sophie has an idea: the Harvest did work but someone stole the power to resurrect the Elder witches instead. The idea is sound, in fact it's absolutely what happened - smart deduction, Sophie! Marcel decides to seek out a friend to share his grief and reaches out to Cami of all people; she's playing this smart time and has admitted to drinking Vervain to no longer be compelled. Though, I've got a bone to pick with the writers as they messed up with an important fact later on. Papa Tunde wants to torture Klaus for his past and the best way to do so is attack someone close to him: Marcel. The voodoo warlock storms the bar and begins attacking Marcel to finish the job; causing Cami to retreat and call Klaus for help. 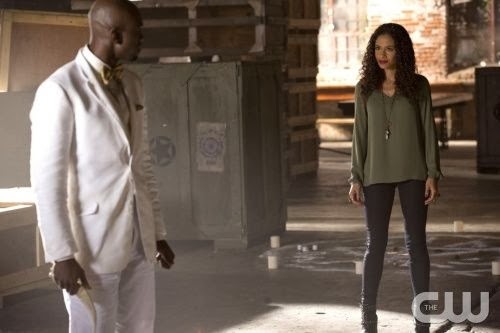 Meanwhile across town, Elijah and Hayley realize that if they free Rebekah from her spell then Papa Tunde will no longer channel her power and he will become weak. Hayley's blood breaks the seal and the warlock loses his power but this distraction was only part of his plan. Papa Tunde has been stealing the powers of vampires across New Orleans, including killing off everyone hidden in the Garden and sacrificing himself, to channel enough energy into his blade so that it can kill an Original. A new piece to the 1919 puzzle is added this week as Rebekah and Marcel's part in the twist is revealed. 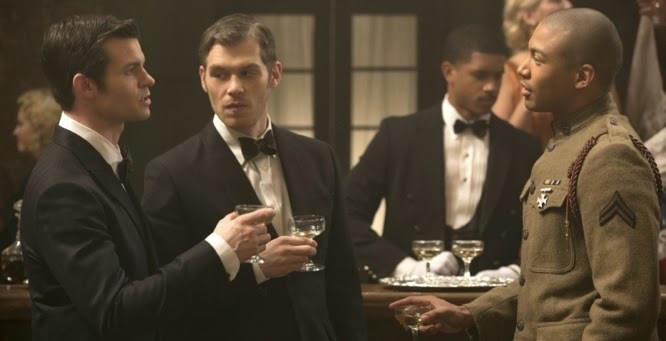 Marcel called on Papa Tunde to visit New Orleans in 1919 with the hopes of causing Klaus to flee New Orleans so that Marcel could be with Rebekah. The plan ultimately failed but a new idea was sparked into motion. With the help of a witch (the same second Elder witch who returned), Rebekah and Marcel could locate Mikael, the Mikaelsons' father, to return to New Orleans and fight Klaus. What other powers does Celeste need? Will we learn more of the other Elder witches? Why didn't Marcel burn biting Cami's neck if she drinks Vervain? Share your thoughts in the comments below.